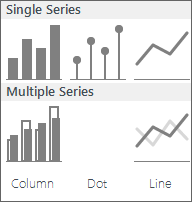 In this article we will explain how to choose the right chart for your data. Or more precisely, for your message. There are 3 fundamental rules that you should always follow. If you learn these 3 rules, there is a good chance that you will get it right no matter what the context of your data is. Should I use a vertical or a horizontal chart? What analytic task will the readers perform? Should I use lines, bars, dots or something else? Highlights are important if want to draw the attention of the reader of your report on one specific element of the visualization. For example if it is imperative to delivering your main message. 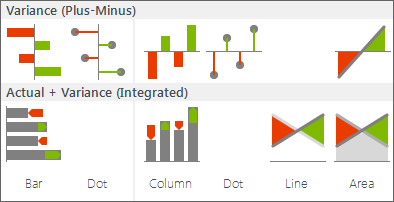 With Zebra BI you can therefore easily emphasize important sections in your business chart or report - it just takes one click!